Welcome to GE Steam Turbine Fundamentals. This course was designed to provide basic knowledge of GE steam turbines. This course is not designed to represent all GE steam turbines. Its primary focus is the G2 steam turbine, but it provides general information only. 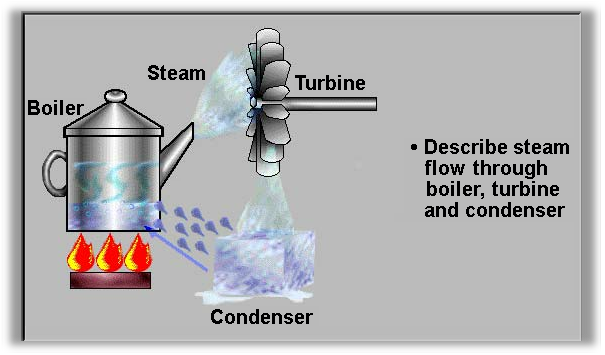 Theory of Operation of the Steam Turbine and how it inter-relates with the rest of the power plant. Design and Construction describes the function and location of the key elements, including the rotor, diaphragms, bearings, valves and steam seal systems. Controls section describes the purpose and function of the controls system, including protective functions of the turbine.